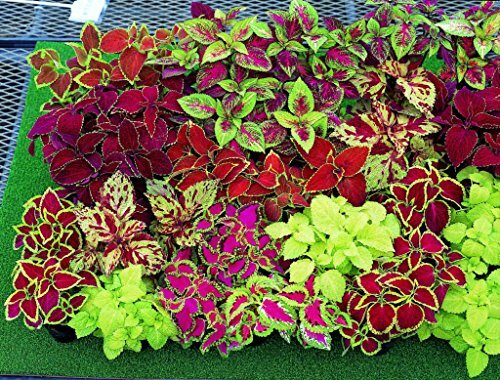 Sedum Seeds - Dragons Blood - 1000 Seeds - Rose Colored Star Flowers - Perennial Decorative Groundcover House Plant - Flower Garden - Sedum.., By Mountain Valley Seed Company Ship from USCategory: Perennial Garden FlowersSedum spurium. 4 to 6 inches. Bronze-green foliage with bright rose star-shaped flowers. Just for you is a famous online convenient store . Our warehouse is allocated at US WA.The transportation is very convenient too. We are selling only high quality grade products and also we selling it world wide.If you feel interested with our products please don't feel hesitate to contact us. We will provide you the best service and support. Sedum Seeds - Acre Golden Carpet - 1000 Seeds - Bright Yellow Flowers - Perennial Decorative Groundcover House Plant - Flower Garden - Sedum spuriumCategory: Perennial Garden FlowersSedum spurium. 3 inches. Bright yellow star-shaped.5 inch flowers on a creeping plant. Mandarin Honeysuckle Vine - Perennial - Lonicera - 2.5" PotCategory: Perennial Garden FlowersHONEYSUCKLE: The genus Lonicera contains more than 200 species worldwide and is distributed in temperate and subtropical regions of North America, Europe, NorthAfrica, and Asia. Most of the species are small trees or shrubs. Honeysuckle is cultivated in private gardens and in cities as an ornamental because of its large, fragrant flowers and brilliant red fruits.Long-blooming with fragrant flowers all summer. More compact twining growth habit. Requires a support structure. Dark copper-green leaves with clusters of reddish-orange flowers. 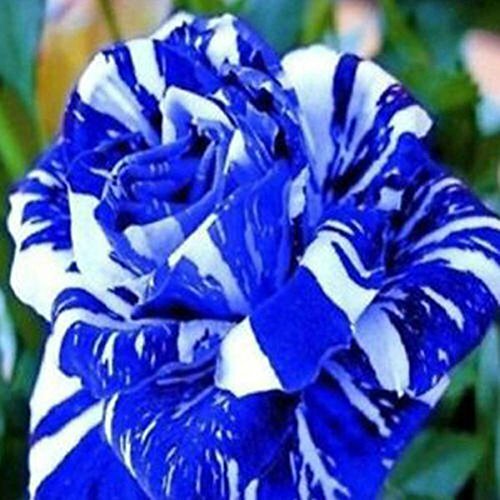 Nicely fragrant. Hardy Zones 3-9. Mature Height: 10'. Sedum Seeds - Voodoo Variety - 1000 Seeds - Red Leaves, Rose Flowers - Perennial Groundcover - Flower Garden - Sedum SpuriumCategory: Perennial Garden FlowersSedum spurium. 4 inches. Low-growing mat of intense red leaf color contrasting with bright rose flowers late summer through autumn. Long lived garden perennial groundcover. Germander Perennial Plants - Teucrium - Pink Flowers - 4" Pot - Live PlantCategory: Perennial Garden FlowersGermander (Teucrium chaemadrys). Germanders offer a small, tight, shrub-like presence in the garden, with tiny, shiny, fragrant, evergreen leaves. Wall Germander has thrived for us as a wide, low (6") edging above a rock wall, looking beautiful every day of the year and drawing many questions during our guided garden walks. Delicate spires of pale pink flowers top the plant in early summer; a shearing after bloom keeps foliage dense and beautiful. Germanders love to grow in full sun, require good drainage, and are quite tolerant of regular light pruning for hedging and edging in knot gardens. Luna Rose Giant Hibiscus - Perennial - 4" PotCategory: Perennial Garden FlowersHardy Hibiscus are a wonderful addition to the summer garden with their exceptionally large blooms appearing in midsummer and continuing until frost. This compact variety forms a medium-sized bushy mound of dark green leaves. The flowers, which can be 8 inches across, feature deep rose coloured petals with a ruby eye in the centre and showy yellow stamens. Excellent as a specimen in small spaces and in containers. Attractive to butterflies. 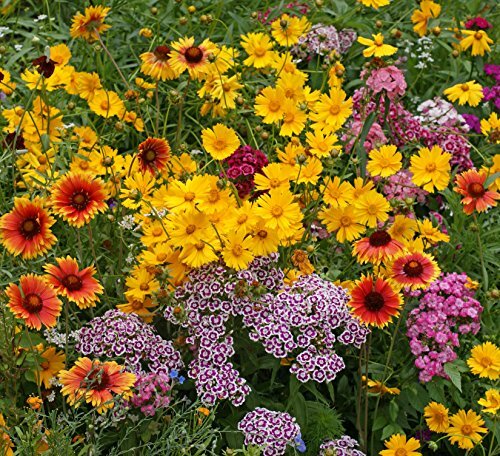 Plants prefer evenly moist soil and sunny conditions and flowering is best in regions with hot summers. Stems die back completely to the ground in winter, but new growth is slow to appear in spring, so be patient! Old stems can be pruned to the ground in midspring. A thick mulch for the first winter is recommended, especially in Zones 4 and 5. Double Bloody Mary Geum Perennial- Attracts Hummingbirds- Live Plant - Quart PotCategory: Perennial Garden FlowersDouble red flowers. 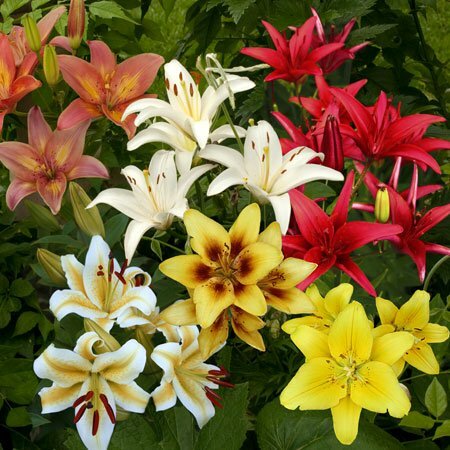 Grown for attractive silky foliage and long blooming cheerful flowers in summer. Saucer shaped flowers are held high above foliage on long erect stems. Plant Geum Double Bloody Mary as a focal plant in areas of the garden where you would like to draw attention. Geum prefer rich, well-drained soil. Some moisture required. Morning sun with afternoon shade is preferred in hot summer climates. Good winter drainage is necessary for survival. Can be divided every 2 years or so in early spring or early fall. Cut back spent foliage in summer after flowering for flush of new growth. 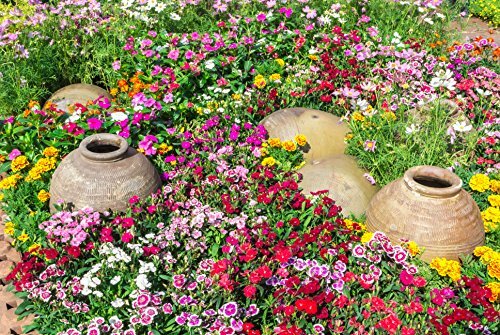 Deadheading encourages greater flower production. Chives - Hardy Perennial - Easy to Grow! 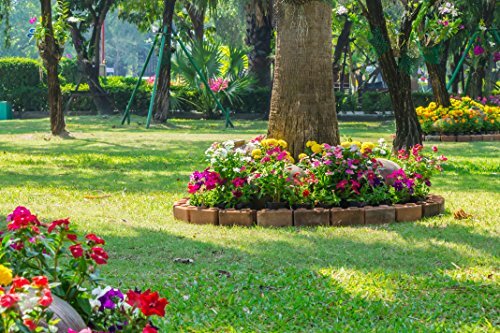 - 3" Pot - Live PlantCategory: Perennial Garden FlowersChives grow in clumps, with their round, hollow, grass-like leaves reaching a height of 9 inches or so. The stems are firm, straight, smooth, and, like the leaves, bright dark green. The flowers, which bloom for two months in midsummer, form round deep purple or pink globes that make an attractive garnish.Although they thrive in any good garden loam, chives show a preference for slightly acid soil and need to be kept moist throughout the growing season. 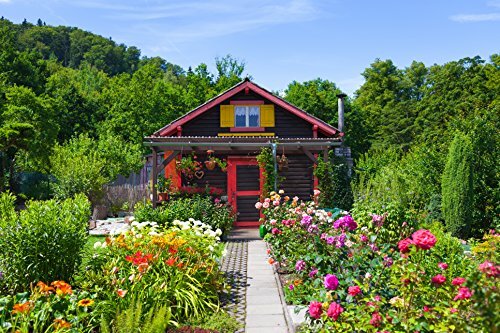 In climates with hot summers, choose a location where they can enjoy some shade during the day.Divide established clumps of bulbs every third spring, and transplant clusters from the outer edges of the clumps. Alternatively, chives can be raised afresh each year from seed. Remove the flower heads to maintain a constant supply of flavorful leaves. The foliage dies down in the winter. You can encourage a few early spikes by covering some of the plants with crushed leaves or straw, or plant clumps in containers in the fall for early spring chives. Make sure your container chives get plenty of sun. For an attractive garnish, allow a few plants to produce flowers.Chives are easier to snip with scissors than cut with a knife. The snipped chives give a hint of onion flavor to egg dishes, cheese souffles, salads, soups, cream cheese sandwiches, and sour cream dressing for baked potatoes. Chive butter is great with grilled chops and steak. Plant Spacing: 10-12". Days to Maturity: 60-90. Full Sun. Blue Ice Amsonia Perennial - NEW! 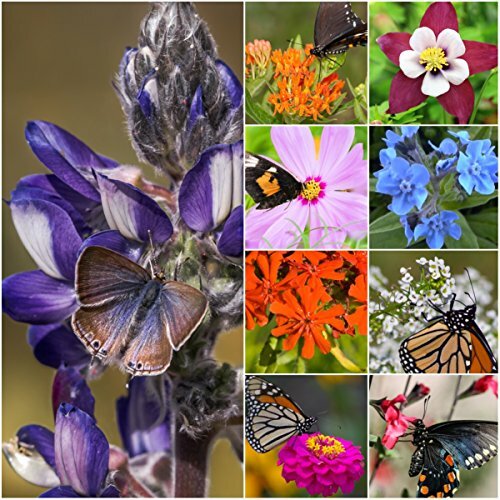 - Quart PotCategory: Perennial Garden FlowersEasily grown in average, medium-wet, well-drained soil in full sun to part shade. Prefers moist, loamy soils. Tolerates some drought. When grown in full sun, plants often require no pruning or staking. 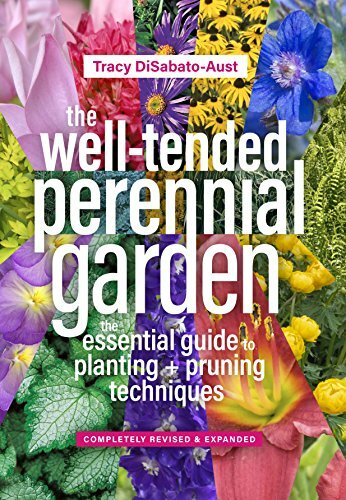 When grown in some shade and/or in rich soils, however, plants tend to become more open and floppy and often require staking or pruning. 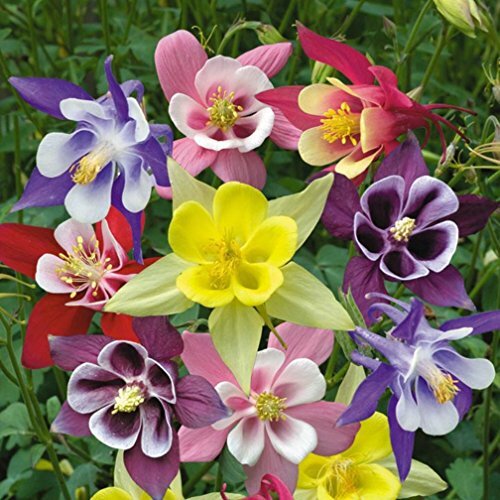 For a neater appearance, particularly for shade-grown plants, consider cutting back stems by 1/2 to 1/3 after flowering to promote bushy growth and, if desired, a more rounded foliage mound.Noteworthy Characteristics:The erect, clump-forming plant features terminal, pyramidal clusters of 3/4", light blue, star-like flowers in late spring atop erect, leafy stems growing 2-3' tall. Narrow, willow-shaped, dull green foliage may turn an attractive yellow in fall. 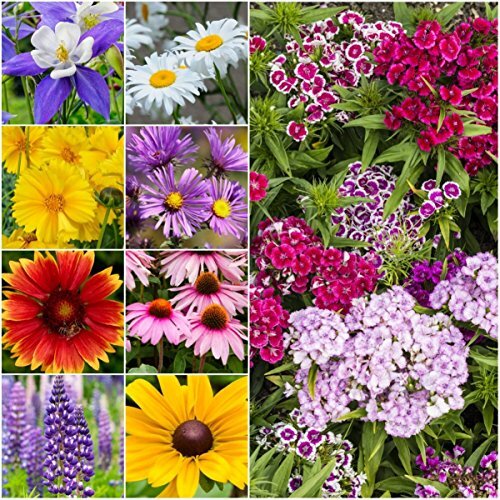 Hardy Zones 4-9, Mature Height: 15-18"
Delosperma Ice Plant Flower Seeds - 1000 Seeds - Perennial Flower Garden Seeds - Daisy-Like Flowers - Delosperma cooperiiCategory: Perennial Garden FlowersDelosperma cooperii. A vigorous spreader with shimmering fuchsia purple daisy-like flowers. It forms a dense mat of succulent, linear green leaves, in any well-drained soil. Stop watering in midfall to harden for winter. This plant has become a staple in xeric gardens. 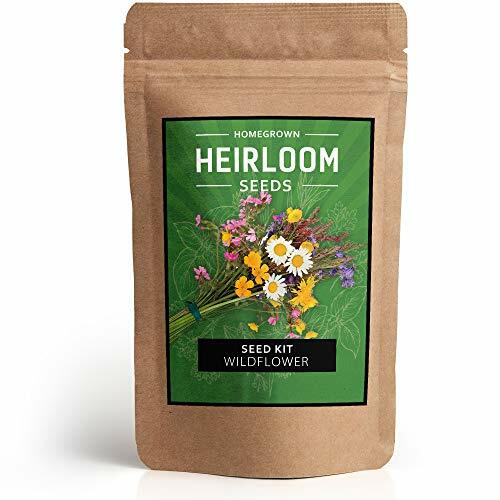 Common English Lavender Flower Garden Seeds - 500 Mg Packet - Perennial Herb Gardening Seeds - Lavandula angustifoliaCategory: Perennial Garden FlowersLavandula angustifolia. 2 feet. Fragrant leaves and blossoms for sachets and potpourri. Hardy plants with aromatic lavender blue flower spikes are lovely in borders in sunny, well-drained soils.